The SMS system built into Booking Live allows you to automatically send confirmation messages, reminder messages and other messages to your customers via SMS. These can be set up to send automatically via usage of the Timeline. In order to use the SMS system, you will need to contact Booking Live to activate the system, and then purchase SMS credits. Here, you can see the list of all currently existing SMS messages on your system. To edit an existing SMS Message, click on the Edit link to the right of the message. 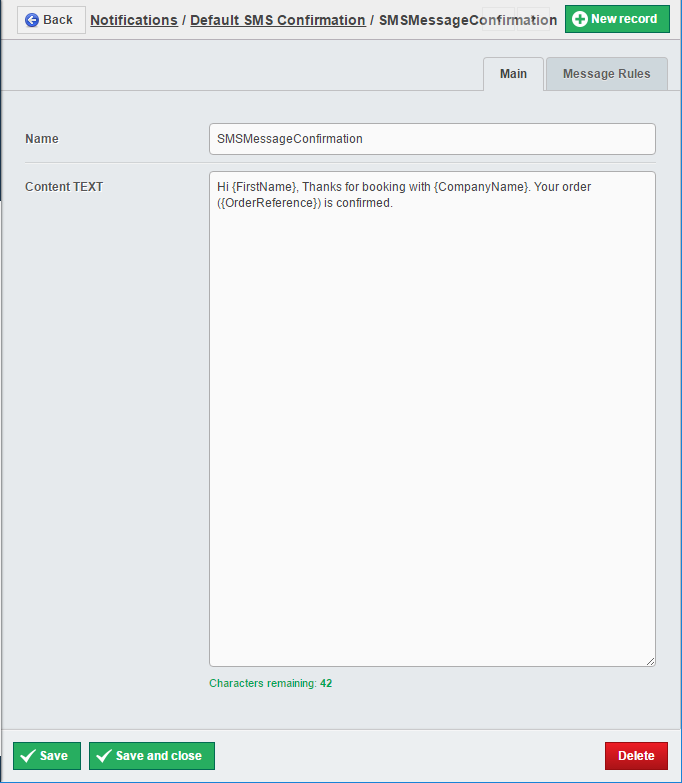 To create a new SMS Message, click on the (Select type to create) menu to the top-left of the table. Select SMS Message, and then select Add button. This screen shows the settings that are available for editing or creating a SMS Message. The above example displays the Default Confirmation message. 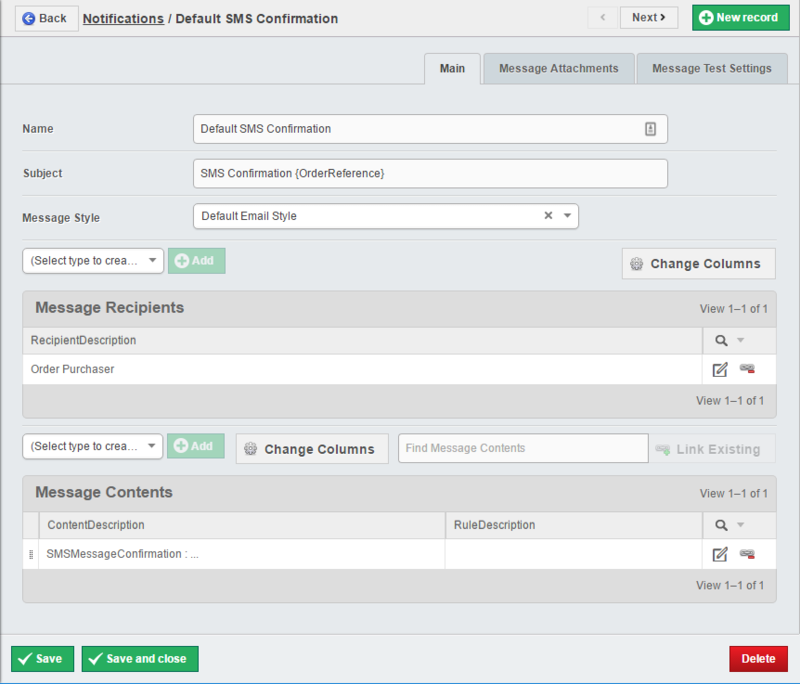 When you create an SMS Message, you can select the Recipients. You can choose from the Purchaser and/or the Participant. Note: in order to be able to use these options, the Booking Forms must be updated to include Mobile Telephone Number as a field. To edit the Message Contents, you will need to click on the Edit icon to the right of the Content Block. You will notice that the Content TEXT field has a character counter at the bottom, to help you avoid going over the 140 character limit for a single text message.